In Michigan, emergency vehicle light laws have been set in place for numerous reasons. The first reason there is emergency vehicle light laws is so that people are able to identify what vehicle has its lights on from a far distance. For example, if someone is driving towards a group of vehicles and they see a set of blue lights, then they will likely know that it is a group of police officers. If a person if driving toward a group of vehicles and see nothing but red lights, then they will know that it is not police vehicles and might be ambulances. This lets people have a better idea of what they are driving toward and gives them a chance to adjust accordingly. Emergency vehicle light laws have also been set in place to make sure that people are aware of an emergency. For example, many vehicles have laws that require their lights to be visible from a distance of at least 500 feet. This assures that people can see that an emergency is taking place and gives them time to take the appropriate action. Throughout this article, I'm going to go over many emergency vehicle light laws and tell you each vehicle's lighting requirements. According to Michigan statute section 257.698, all police vehicles need to have oscillating, flashing or rotating lights. These police lights need to have 360 degrees of visibility and must be able to be seen from at least 500 feet away. Police vehicles may use red or blue strobe lights as part of their lighting system and can use these light colors for their signal devices. Michigan statute section 257.698 states that all fire trucks need to have oscillating, flashing or rotating lights. These lights need to have 360 degrees of visibility and must be able to be seen from at least 500 feet away. Fire trucks must use red lights as part of their lighting system or signal devices. Michigan statute section 257.698 says that all volunteer fire fighter trucks need to have oscillating, flashing or rotating lights. These lights need to have 360 degrees of visibility and must be able to be seen from at least 500 feet away. Volunteer fire department trucks can use red lights for their signal devices or lighting system. In Michigan statute section 257.698, it states that all ambulances need to have oscillating, flashing or rotating lights. These ambulance lights need to have 360 degrees of visibility and must be able to be seen from at least 500 feet away. Ambulances must use red lights for their lighting systems and display devices. Michigan statute section 257.698 states that tow trucks are allowed to use amber lights for their display devices or lighting systems. In Michigan statute section 257.698, it says that all construction vehicles must be equipped with amber-colored lights for their lighting systems or display devices. As stated in Michigan statute section 257.698, all utility vehicles must use amber lights for their display devices or lighting systems. According to Michigan statute section 257.698, pilot vehicles must have one flashing or oscillating strobe light mounted on the top of their vehicle. This light must both be amber-colored and visible from at least 500 feet away. Michigan statute section 257.698 says that security vehicles must use amber lights for their lighting systems or display devices. Now You Know About Michigan Emergency Vehicle Light Laws! In this article, we discussed the laws regarding many emergency vehicles. I discussed both the color requirements and visibility requirements for each vehicle. We also talked about how certain vehicles need to have flashing, rotating or oscillating lights. You may have also noticed that the laws for each vehicle were covered under Michigan statute section 257.698. While we did cover a large part of Michigan statute section 257.698, there is still more information in Michigan statute section 257.698 that I didn't cover in this article. 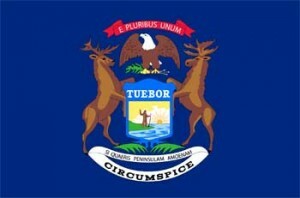 If you would like to read more about Michigan statute section 257.698, then click here.